So you are new to online marketing, blogging or your business simply does not yet have the traction you are looking for? Whatever else you do: Don’t put off starting and growing your email list for later. Don’t use excuses like you will wait until you have more traffic, or you have more sales, more blog posts or whatever. 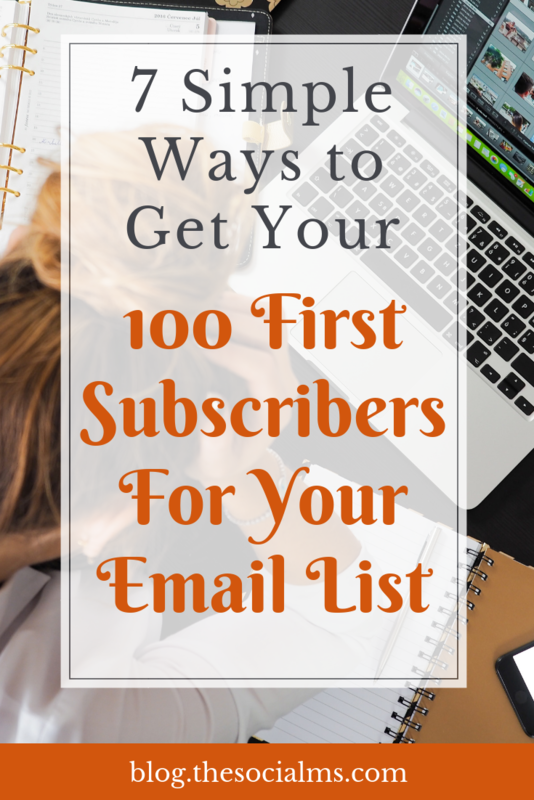 Starting an email list should be one of the tasks you start early on. Because as with a social media audience, the email list will take some time to build – but it will be worth all the effort you invest. But a lot of the tips to grow subscribers you can find out there, like popups and signup forms on your blog all rely on your blog getting traffic in the first place. And let’s be honest: When you are starting out that is kind of the problem: you don’t have many visitors to your blog so how can you significantly grow your subscribers from the non-existing traffic? So, today’s post is not about optimizing your blog for more sign ups, I will only hint at what you can do on your blog to capture signups there. Today’s post is all about getting subscribers when you are starting out, when your blog traffic is insignificant and when you are so new to the game that people will not signup for your list just because everybody else seems to be following you. Chances are relatively high that you already know a bunch of people. They may not be directly from your niche but from some other business or venture that you did before. But who knows, they may just be really interested in what you do now? I just started a new project. Part of that is a blog about YOUR TOPIC that I will update on a regular basis. If you are not so much into TOPIC: That is cool. But if you want to know more, please hit reply and let me know which email address I should add to my email list. So excited about this new project! Choose the contacts you write an email to with care: Don’t go for the ones you know the least about, simply because you are not so afraid of annoying them. Rather go for people that know who you are, trust you and hopefully are interested in what you do. A lot of people seem to forget about the “real life” when they turn to online business and online marketing. But the truth is, direct contact can, in the beginning, be much more valuable than the loose contacts you get on social media. Use every opportunity to connect with people from your niche and fellow entrepreneurs. There are several benefits: Entrepreneurs will understand all your worries and anxieties. From my experience, entrepreneurs are willing to share a ton of tips and a coffee for free – if you just connect. So you get open ears and a ton of advice for free. If you meet people from your niche, you can ask them if they would like to get more information to their inbox. And to be honest: even for businesses that get their huge success from online marketing, the handful of very first customers often came from direct contact and chance meetings! If you are turning to online marketing and blogging, my guess is you are able to write a decent blog post. Guest blogging offers you the unique opportunity to get that post in front of an already established audience. You can use that audience to get followers to your social media accounts – or signups for your newsletter. To get followers a simple “you can follow him/her on Twitter: @twitterhandle” will do. If you want to get people to signup for your newsletter, you will see better results if you go a step further. The largest number of signups you will probably see if you offer a freebie that is related to the guest post. In your author bio you can then write something like” “ Get his/her free ebook on TOPIC here”. That means you need to create a freebie plus a landing page where people can give their email address in exchange for the download of your freebie. You can find more on guest blogging for signups in this post. Facebook is one of the first social networks every entrepreneur and blogger turns to when they are looking for traffic. But it is often neither the Fanpage nor the personal profile that is offering you the best opportunities. Especially for beginners, Facebook groups from your niche are often the most promising place to look at. Choose the groups with care. I am not suggesting any share-for-share or like-for-like groups. From my opinion that is a total waste of time. I am suggesting highly targeted Facebook groups either from your niche – or from entrepreneurs and bloggers that are in the group to help each other. 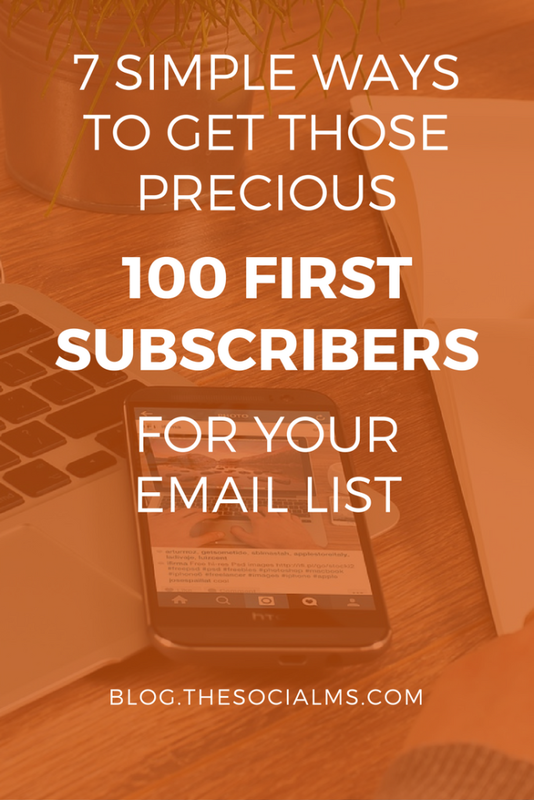 For signups for your newsletters groups from your niche are probably the best way to go. Choose groups that are active and are not just spam while they do allow you to post about your blog once in a while. If there are group rules: follow them. Often you will get better results if you ask questions around your topic and engage in discussions than simply sharing your posts. Show that you are willing to connect and not only looking for another shoutout channel. Depending on your niche, it may be worth your time to take also take a look at LinkedIn groups. 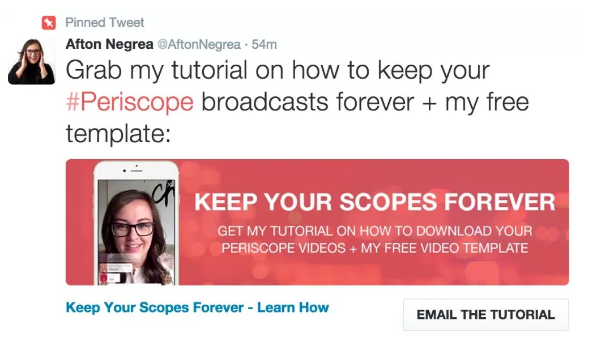 Now, this is only relevant for you if you are actively growing your Twitter account. But if you do, direct messages on Twitter can be a huge opportunity to get people to signup for your newsletters. Many people perceive Twitter direct messages as spam. So success tremendously depends on the message you send. We have built over 80 thousand signups to our former publishing platform exploreB2B – and the main source for these signups were Twitter direct messages. But you will have to do your homework and test various messages and ideas. 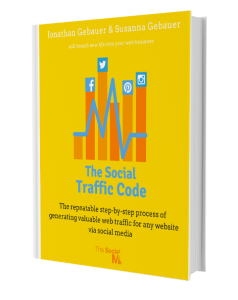 Often a freebie can be a good way to get signups from Twitter – but even these are so overused today, that you have to test what works and what does not work. Sometimes a rather a message that uses humor might work better than the standard “get my free ebook” message. I am a new blogger and I just found out about signup forms on my blog. If you are interested in TOPIC, can you please test them? If you don’t want to go for direct messages on Twitter, you may want to check out Twitter’s Lead Generation Cards. Twitter cards are a kind of “Rich Tweet” that include some additional information. There are various kinds of Twitter cards, for instance, Link Cards, Summary Cards, Photo Cards, Video Cards and more. What is special about the Lead Generation Cards is that they directly connect to your email marketing tool like MailChimp, Infusionsoft or Aweber. This way you do not have to lead people to a landing page where they can eventually leave their email address, but you collect the email address directly in Twitter. If you want more information on how to set up Twitter cards, here is an extensive tutorial for setting up Twitter cards with WordPress. This last one is the standard tip you get, but it will only give you a ton of signups if you already get traffic to your blog and want to convert this traffic into email subscribers. But since, this post is not necessarily for the successful bloggers that already see a significant amount of traffic on their blog, I will keep this one short. You should definitely offer some signup forms on your blog – there are several options for that. You should also offer a freebie in exchange for the email address – your signup rates will be much higher. Check this article if you want to know more about signup forms on your blog. If you are new to blogging and online marketing and you do not (yet) see a lot of traffic to your blog, the first 6 tips in this article are of much more value to you! Because even if you are new to the online marketing game and don’t have a ton of visitors to your blog, you should start actively collecting email addresses right now. It takes some time to earn a ton of signups, but the sooner you start the sooner you can see results from your email list.